Another excellent title in our new GEN 2 series! This series sets the new standard with detail and realism almost beyond comprehension. Forget about hunting for buried treasure, these guys really mean business! This set of German mine detectors includes four Germans methodically searching for deadly enemy landmines. 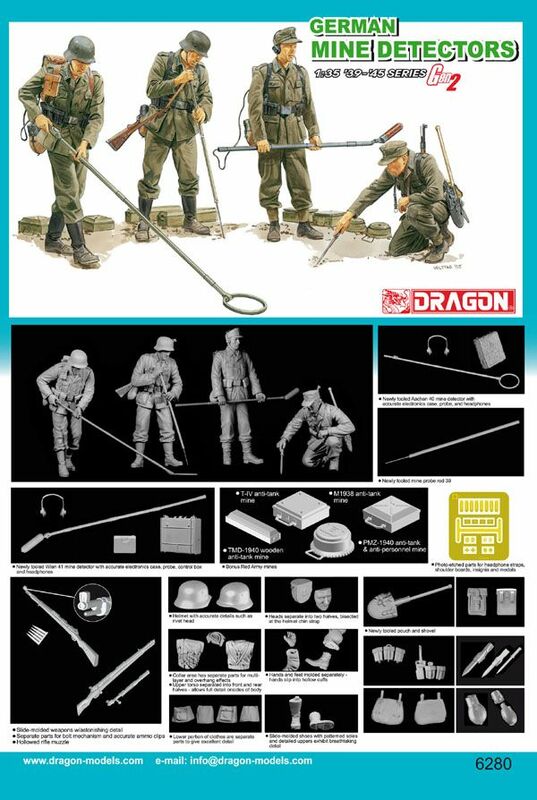 It includes German mine detectors that have never been produced in 1/35 scale before!